Do you operate a business? If so, you’re probably aware that there are many aspects of business law you need to know about. Regardless of whether you own a large-scale corporation or a local business, it’s important to know a thing or two about business law. Grasping the ins and outs of standard business law practices is essential if you want to ensure your success and longevity. This is where Kepple Law Group, LLC comes in! 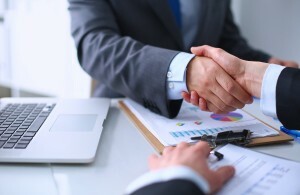 Our top-notch business lawyers in Pekin, IL are truly excellent at what they do. The term “business law” refers to the legal practices and laws surrounding all business entities. Business entities are both new and old businesses. This section of the law covers many different legal areas, including (but not limited to) intellectual property, tax law, real estate, sales, employment law, bankruptcy, and more. There are many facets when it comes to business law! Kepple Law Group’s team of business lawyers in Pekin, IL can ensure your business’s success. If you need an experienced business law attorney, Kepple Law Group will go to bat for you! Here at Kepple Law Group, we have a certain reputation for greatness, rich expertise, and success. We’re known for having the best business lawyers in Pekin, IL and beyond. If you’re seeking legal assistance with your business, it’s time to get in touch with Kepple Law Group, LLC today! Give us a call at 309-282-1545.